Nothing says comedy like putting large families together for reunions or holidays, so here, we’ll count down the Top 10 funniest flicks about these clashing personalities, including Home Alone, Uncle Buck and of course Parental Guidance. The Craigs and the Ripleys couldn’t be more different! The Craigs’ patriarch is know-it-all investment banker Roman Craig (Dan Akyroyd) and fun-loving Chester (John Candy), better known as “Chet,” sits at the helm of the Ripley clan. When the Ripleys decide to explore the great outdoors on vacation and are spontaneously joined by the Craigs, hilarity follows. Although there is no shortage of places to lay the blame for the drama within the Collins family, the most recent addition to the clan, Barnabas (Johnny Depp), is largely responsible for the family’s misfortune. He manages to bring the brood’s dysfunction to a boil in this enjoyable remake, when he rejoins the family after a 196-year absence and lengthy stay in a coffin following his torrid affair with a vindictive witch (Eva Green). One would think that all would be well with a family as successful as the Tenenbaums, but nothing could be further from the truth. 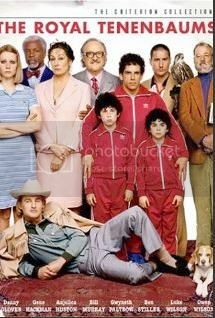 The impending divorce of family patriarch Royal Tenenbaum (Gene Hackman) and wife Etheline (Anjelica Huston) leads the couple to summon their children home; unfortunately for them, the children bring bizarre revelations of their own home with them. Surgeon Kevin Fields (Michale Vartan) falls in love with Charlotte “Charlie” Cantilllini, a temp, and can’t wait to introduce her to his mother, Viola Fields (Jane Fonda). Viola, still reeling for the loss of her job to a younger woman, detests Charlie immediately and is fearful of losing her son to a younger woman in the same way that she lost her job. Charlie, although initially none the wiser, grows tired of Viola’s attempts to sabotage her relationship and a hilarious battle between the two women ensues in this delightful comedy. When Nate Johnson (Cedric the Entertainer) is invited to a family reunion he seizes the opportunity with the hope of rekindling his relationship with his wife (Vanessa Williams). Showing up his successful and arrogant older brother Mack (Steve Harvey) at the reunion’s talent show is also foremost on Nate’s mind in this amusing film. 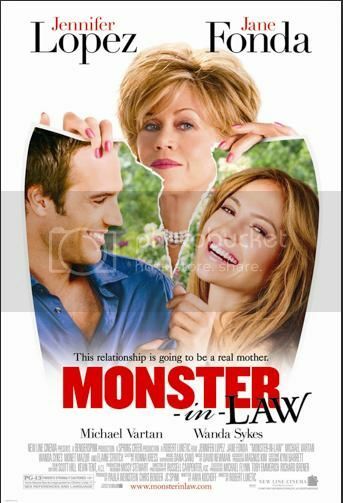 When newly divorced father Peter Sanderson (Steve Martin) finds himself in need of a little female company he turns to the internet and begins conversing with a woman known as lawyer-girl. 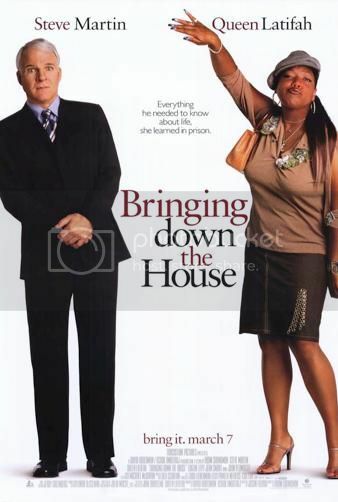 Lawyer-girl turns out to be Charlene Morton (Queen Latifah) a wrongfully convicted bank robber who needs Peter’s legal assistance. 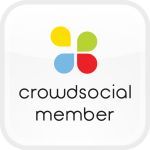 Peter reluctantly agrees to help Charlene in exchange for her employment as a nanny to his two children. The arrangement works out better than either of them could have imagined for the family but Charlene’s addition to the neighborhood is not a welcome one and the hilarious reactions of Peter’s neighbors brings down the house in this raucous comedy. In this classic, the night before his family is to depart for a holiday vacation to Paris, eight year-old Kevin (Macaulay Culkin) gets into a fight with his cousins and siblings and is sent to the third floor of his family home. A power outage soon follows, causing the family to miss their alarms and rush to the airport, inadvertently leaving Kevin behind. As Kevin’s parent realize they’ve forgotten him and panic, he opts to leave well enough alone and resorts to eating all the ice cream he can hold and enjoying being home alone! 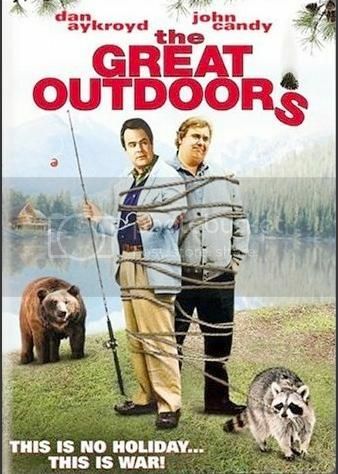 Following the heart attack of his father-in-law, Bob Russell (Garret Brown) enlists the help of his ne’er-do-well single brother Buck (John Candy). Although Buck hits it off immediately with his young nephew Miles (Macaulay Culkin), he has to work a little harder to win over his teenaged niece Tia (Jean Louisa Kelly). 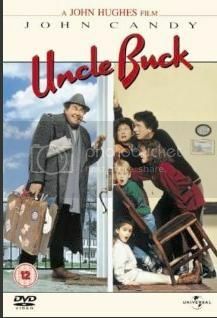 However, despite the initial challenges, soon everyone loves Uncle Buck! 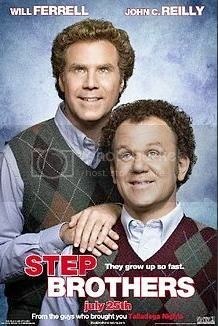 In this slapstick comedy, Brennan (Will Ferrell) and Dale (John C. Reilly), two unemployed middle-aged men still living with their parents, are forced to room together after their parents marry. To make matters worse, the two men are soon being mandated to find jobs or face eviction by their parents, in this sidesplitting coming of age story. In the fourth installment of the National Lampoon’s Vacation series, the Griswolds set out to explore Las Vegas, Nevada. 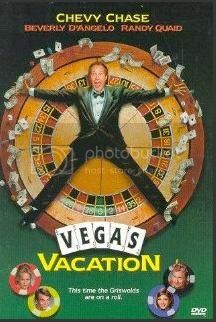 While there they encounter their eccentric cousin-in-law Eddie (Randy Quaid) who introduces them to the Las Vegas scene. Soon Ellen Griswold (Beverly D’Angelo) finds herself being wooed by Wayne Newton; Clark Griswold (Chevy Chase) becomes addicted to gambling; and the Griswold children find themselves in the midst of other mishaps, in this delightful comedy. This giveaway is for 1 copy of Parental Guidance on Blu-ray. Canada and US only. The only one I can think of right now is Meet the Fockers. 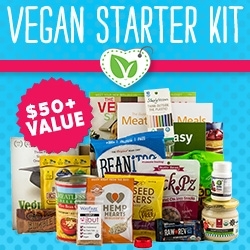 I think you have them all covered!! I'm a big fan of The Family Stone. The movie 'Are we there yet?' and its sequels. Those Chevy Chase movies with the Griswolds!